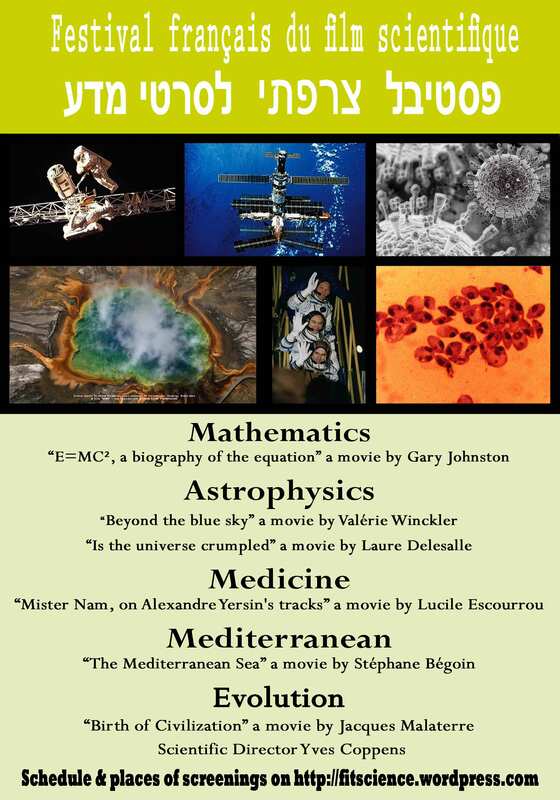 The French Festival of Scientific Film is a special event presenting five movies dealing with scientific matters like mathematics, astrophysics, health, medicine and evolution, on five different evenings. These documentaries or drama documentaries are meant to present scientific issues to the general public. This entry was posted in festival du film scientifique français and tagged festival du film scientifique on 8 December 2009 by Fitscience.